Selda is originally from Richmond in the Western Cape. Her family decided to move to Johannesburg where she completed school in 2005. She decided to start working immediately after school and accepted an opportunity as a rep for Xanamed, where she also helped in the lab where they manufactured their own medical rubs for sport injuries. 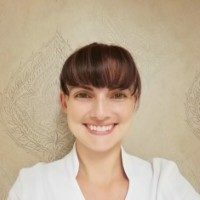 In 2010, she decided that she needs to broaden her horizons and accepted a position as a dental assistant in the Westrand where she registered with the HPCSA and did the necessary exams needed and qualified as a dental assistant. It was here where she realised the really enjoys the medical industry and believes that people can live full and healthy lives by taking care of themselves. In 2014, she started working at Renewal Institute in the Health Renewal department. She has since moved into a different direction and is now the assistant manager at our West Rand branch.